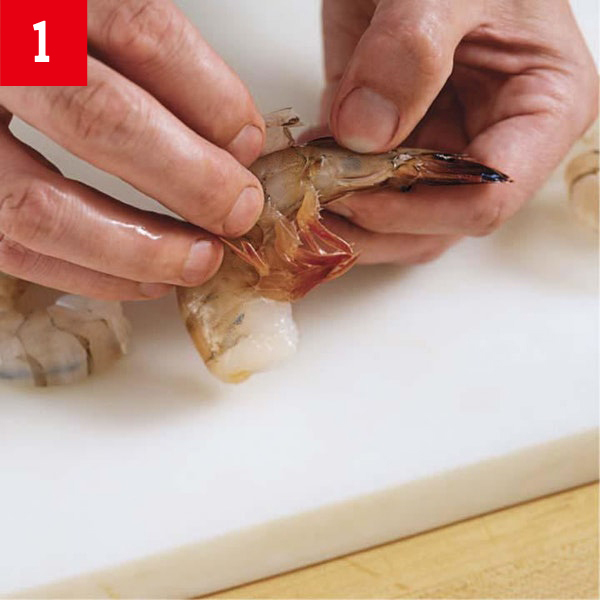 Grab the shell where it meets the legs and peel it back. 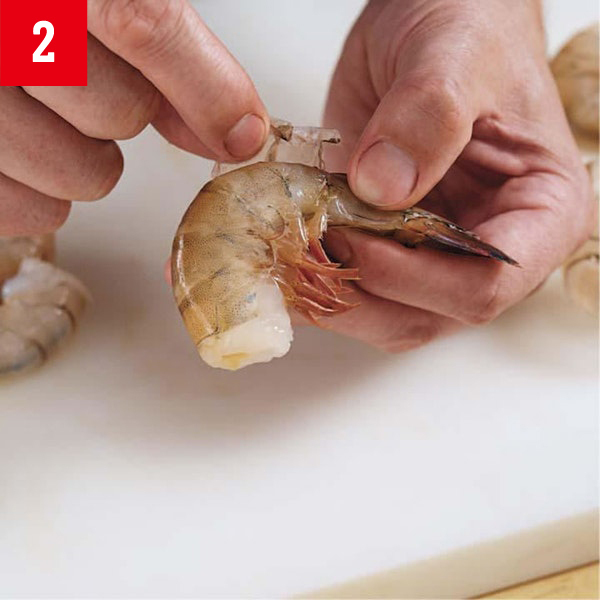 Remove the shell and the legs. If you like, leave one section of the shell attached near the tail. 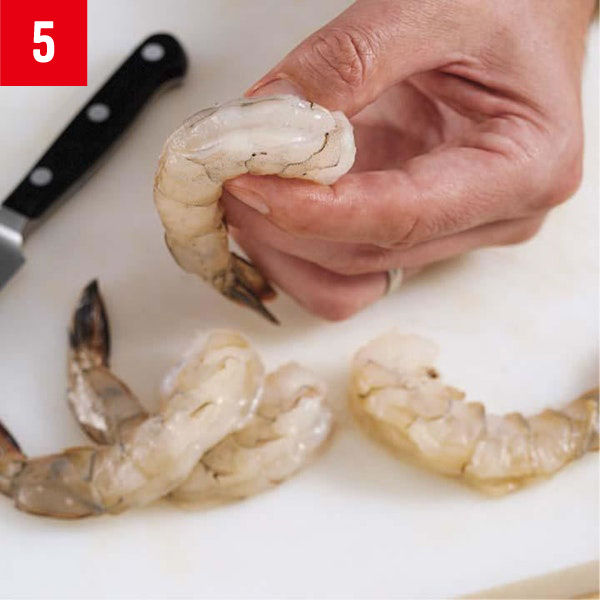 The shrimp looks better this way. 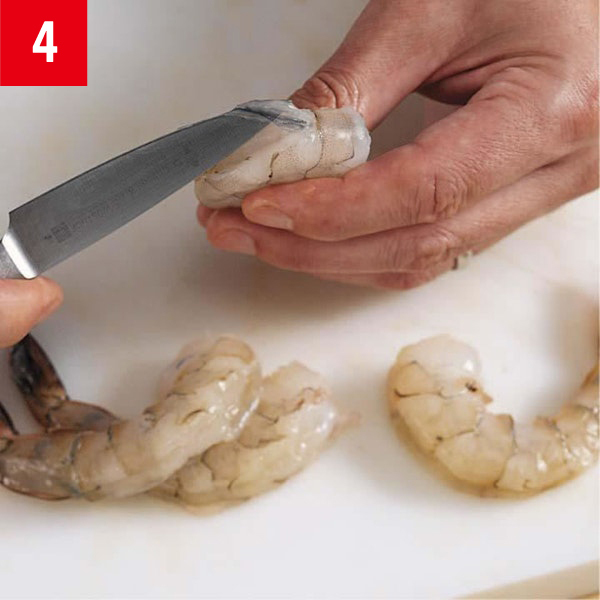 With a small, sharp knife, cut a very shallow slit along the back of the shrimp, exposing the thin black vein. 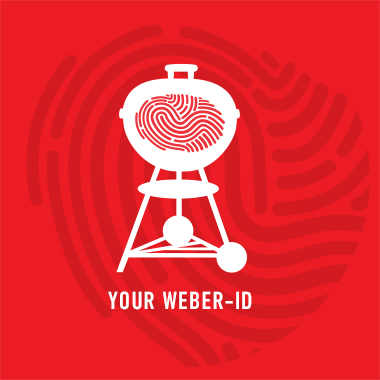 Use the tip of the knife or your fingers to lift the vein out. A little running water helps, too. 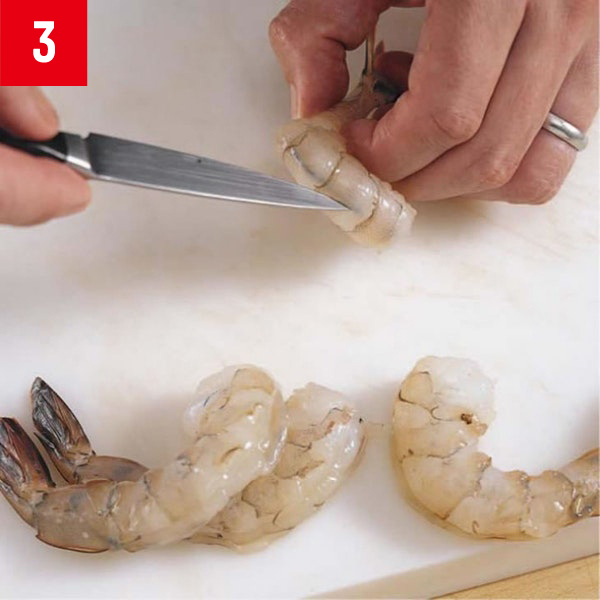 The shrimp should be deveined with the shallowest cut possible, to keep the meat plump.